Pair Go is a form of "Rengo" - Go with more than one player per side where no conferring is allowed between the players. Pair Go is played by teams of two partners - a male and a female player - the "Mixed Doubles" of Go. From 2018 Pair Go is a registered trade mark of the World Pair Go Association. Ordinary Rengo can be played as doubles or triples, or with larger teams, and has a long history. It is often played in the evenings at longer congresses and tournaments, as a social activity or less serious competition. To be good at Triple Go often involves timing ko fights to be started by the correct team member. There is even a version called "ZenGo", that originated in Ireland, played with a odd number of people so that on alternate turns a particular player plays opposite colours! Pair Go has a special etiquette, avoiding unmannerly behaviour and attitude. The environment for tournaments is normally pleasant and better than the usual standard, as is the standard of dress (jacket and tie recommended for the men). In order to encourage good dress, a Best Dressed prize is traditionally awarded at all Pair Go events. 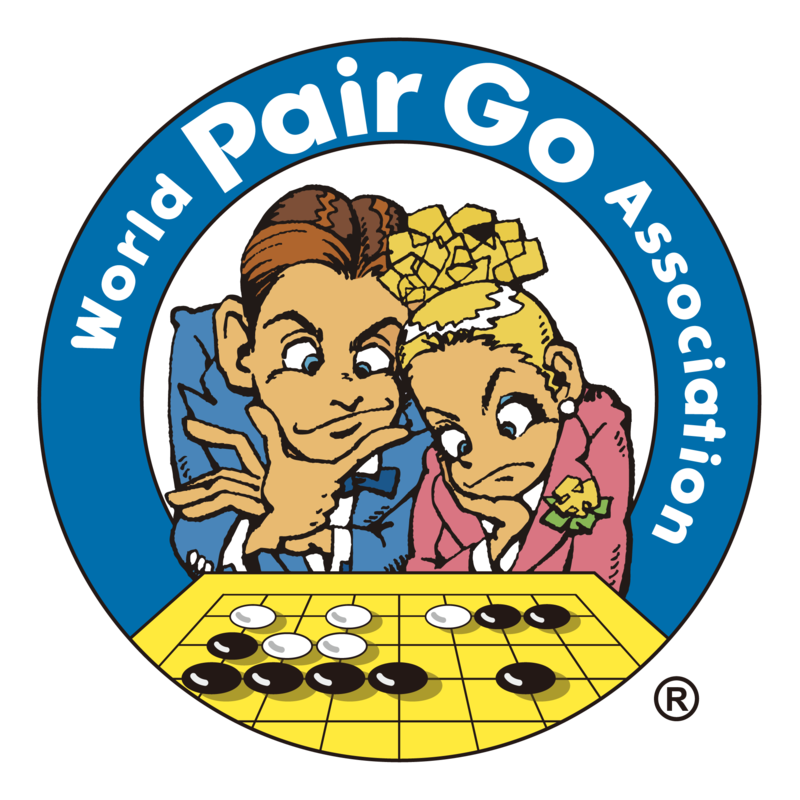 Pair Go was started in Japan in the 1980s to promote Go as a more social activity with the aim of attracting more female players to competitions. The etiquette is part of the means of making events more attractive. With the aim of promoting Go among women world-wide the International Amateur Pair Go Championships (IAPGC) were started in Japan in 1990. Now representatives of 22 countries and all regions of Japan come together annually for this world championship, held each November in Tokyo. In addition there are separate handicap groups held along side that get in excess of 300 Japanese players. Pair Go is a good way of encouraging and teaching weaker players. They get to play in games where most of the moves are played by higher level players and get to learn from their partner leading them towards the correct moves through where they play their own. It is a good way of getting three players to play with a professional, without the pro having to play three simultaneous games. In the UK we held our first qualifying event for Pair Go in Hyde Park as part of the 1991 Japanese Festival. Since then we have held an annual British Pair Go Championships which has become one of the best events on the Go calendar. It is always held in a pleasant hotel or inn, for a while in a hotel in the Oxfordshire countryside, but recently in an inn in Hatfield. There is always lunch available and many prizes, including the Best Dressed prize and a quiz prize. Normally the top eight pairs (based on average grade) play for the championship, whilst others play in a handicap section. Because the top section players also play for points to allow them to represent the UK in both the European Pair Go Championship and International Amateur Pair Go Championship, the section includes a maximum of two pairs that may have one national and one non-national player. The annual New Year London Open tournament holds a Pair Go competition during one of the evenings. The first European Pair Go Championship (EPGC) was held in Amsterdam in 1995. Since 1997 it has been a regular event, hosted by a different country each year. Prior to 2005, it was in France, Netherlands, Czechia, Bosnia, Poland and Romania. The 2005 EPGC was hosted by the BGA at Hitachi in Maidenhead. Typically teams from about 15 countries take part. Since 2004 they have been competing for points, as well as prizes, to allow their country to qualify for the IAPGC. One of the biggest Pair Go championships outside Japan is played at the annual US Go Congress. Up to 100 players take part. The US is now starting other local Pair Go events, such is the popularity of Pair Go. Many other countries run Pair Go events and championships. Of course the IAPGC is the top event of the year. You can read reports about some of the editions of the IAPGC, and their results, and also about the tournament for Japanese professionals. Last updated Thu Apr 12 2018. If you have any comments, please email the webmaster on web-master AT britgo DOT org.